Hello and welcome to Cappella Aquensis! Thanks for visiting our website! We are a free and mixed choir in Aachen and our repertoire ranges from a-cappella music from the Renaissance to contemporary music all the way to big oratories and masses from all centuries. Well, are you interested and would you like to get to know us? Then, click here or scroll down for more info or use the links in the upper menu. We’d love to get to know you! Visit not only our concerts, but also our rehearsals! We’re always looking for motivated singers of all voice parts, who love to sing and enjoy working on their choral repertoire. Come and sing! 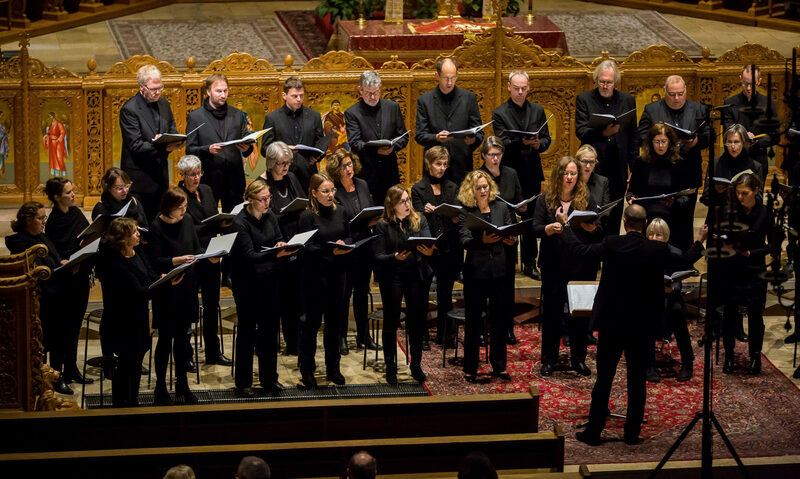 From 24 to 27 April 2019, Cappella Aquensis will go on a concert tour to Cambridge, England. This tour will be part of a choral exchange with Cambridge University Symphony Chorus, who will be visiting us here in Aachen in December 2019. The program of our tour promises to be both challenging and exciting!